You know who doesn’t suffer from FOMO? 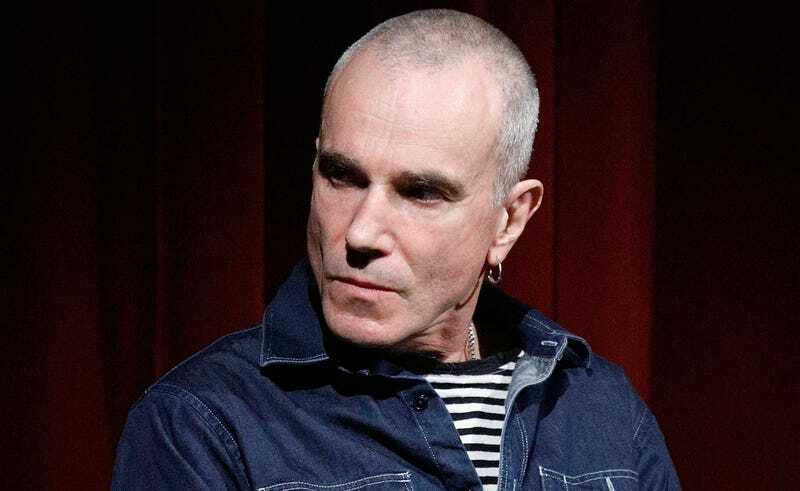 Daniel Day-Lewis, who not only announced recently that he was retiring from one of the all-time greatest acting careers, but also, it would seem, uses a flip phone, a device that can’t even tell you what the news is. I assume. On Thursday afternoon, people very much online flocked to an image taken and posted by journalist Karen Han of a man in a New York City subway car she claimed was definitely Daniel Day-Lewis, and he was captivated by the flip phone in his hand. Han confirmed to The Hollywood Reporter that she is 100 percent sure it was him. First of all, I will obviously mistake several non-Oscar-winners for Daniel Day-Lewis as I commute in the coming days. Second, and more importantly, what should we make of this new information? Maybe it will finally give us, as a culture, permission to ditch our “smart” phones that track us and shrink our attention spans to the size of a—wait, do flip phones even get cell reception underground? Finally, I wonder what Daniel Day-Lewis was late for.